Despite a fall, public trust in the president remains “very good”. 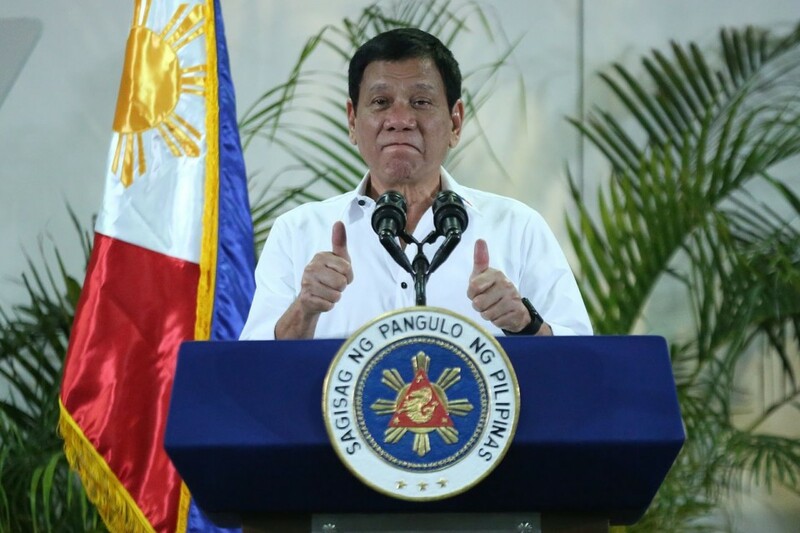 Public trust in President Duterte has dropped to the lowest of his presidency, although he still maintains a rating of “very good”. Trust is used by independent polling company Social Weather Stations (SWS) to gauge the public’s opinion of the president’s personality and performance. In its latest survey released today (Saturday, September 8) trust in the president fell eight points in the second quarter from +65 to +57. It was the popular leader’s lowest score in nine quarterly surveys taken since he took office in June 2016. To reach each rating, the surveys subtract the percentage who respond with “low trust” in the president from those who said they had “much trust” in him. SWS surveyed 1,200 people at the end of June, in a week when the president called God “stupid” during a verbal assault on the Catholic Church. This came after top priests had criticised his war on drugs. The president again hit out at the church in a news conference today, calling priests’ groups “the most hypocritical institution in the Philippines today”, with the church facing child abuse cases in the Philippines and elsewhere. He also said he hoped that members of the clergy would die of sexually transmitted diseases. Ramon Casiple, head of the Institute for Political and Electoral Reforms in Manila, said it was normal for a leader’s public trust ratings to see a slump in the mid-term period. Previously, the president has enjoyed high trust ratings, peaking at +79 shortly after he took office. In a press statement today, presidential spokesman Harry Roque welcomed the continuing — albeit declined — “very good” level of support. Annual inflation reached its highest in nearly a decade last month. Then, last week, the peso reached a 13 year low against the dollar.